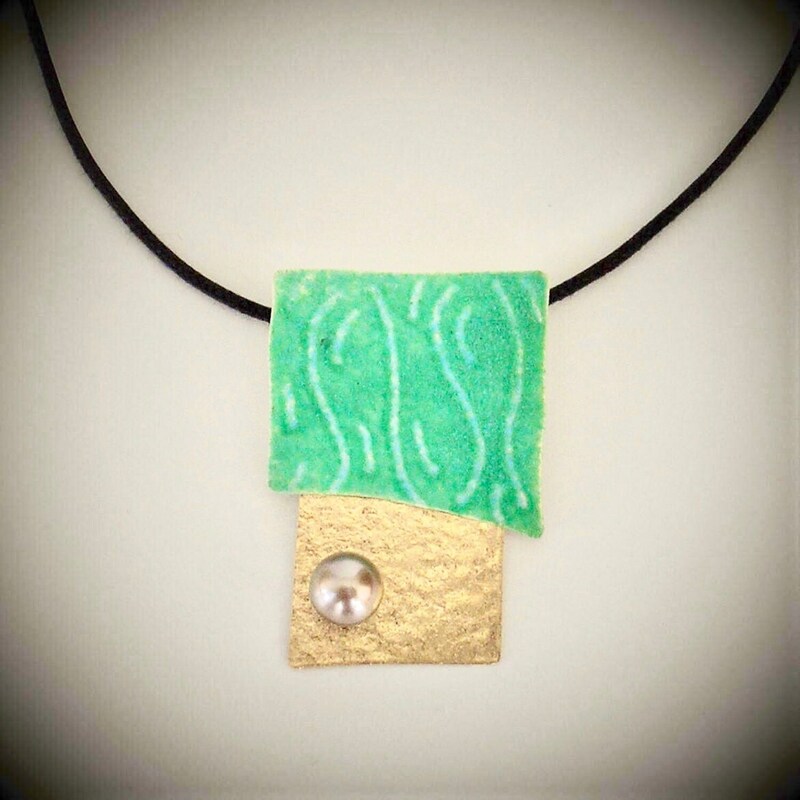 Vibrant EnamelArt pendant features rough green sgraffito vitreous enamel on Fine Silver and textured 14K gold fill embellished with one 8mm black pearl (dyed). Pendant measures approx. 1 1/4" x 1 3/4", and is suspended from a black cotton neckcord with Sterling clasp.